Scroll down for previous year's reports. For this year's weekend away we returned to St Audries Bay on the North Somerset coast for another fantastic trip. 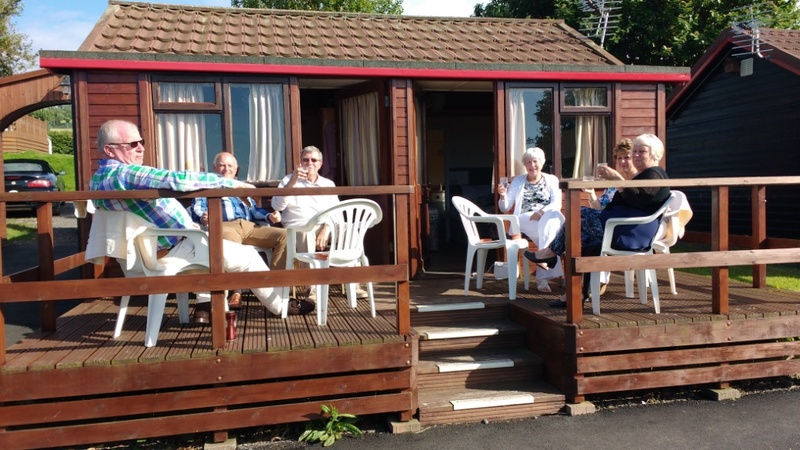 When we arrived on the Friday evening it was a bit dull but that didn't stop everyone from sittings on the chalet porches for the pre-dinner drink (or in some cases several, look at the bottles under the table). For Saturday Nigel had arranged a drive out by-passing Porlock Hill by going up the toll road before going up the Lorna Doone Valley. There was then the option to continue into Lynton & Lynmouth, take the walk up the valley or head back. Sunday was free to decide your own activity with many heading out in the cars and some walking along the coast, there were even some folk putting on the crazy golf course. Of course there was a quiz each evening and with prizes, the feely bag was definitely fiendish but the Lorna Doone quiz was for those who had read the book and taken note through the Lorna Doone Valley drive. There were a few casualties though, the mud on the shore line was very slippy when the tide had just gone out and several took a tumble, the worst of which was Clive who needed the MG ambulance to 'rush' him to Taunton A&E to attend to what turned out to be a fractured finger. A careful drive home was called for. All too soon it was time for the worst part, packing the bags, loading the cars and going home. A great weekend many thanks and well done to Nigel & Stephanie. 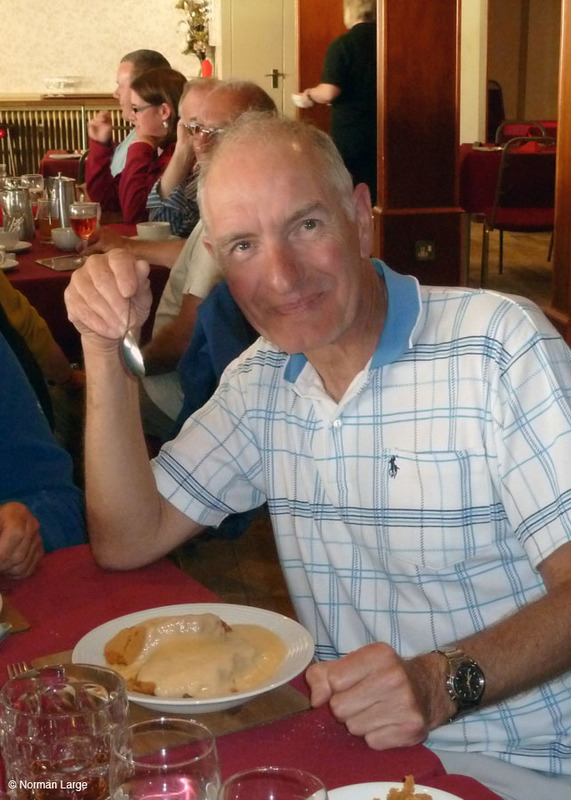 A total of 38 people with 16 MGs enjoyed a great weekend at St Audries Bay in Somerset, organised by Nigel Hook. We all arrived on the Friday in good time for our welcome drink before an excellent 2 course dinner. In fact the food all weekend was very good. Ater breakfast Nigel handed out the route sheets for the days run over to Dulverton to meet at the Red Lion around 1pm. 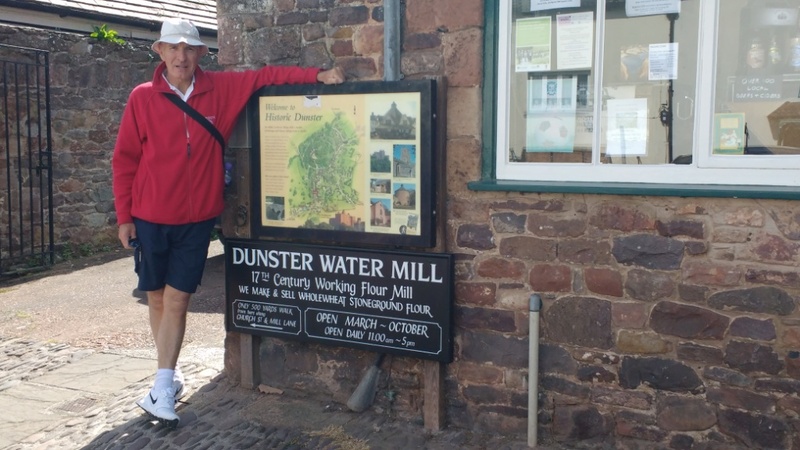 When we were all refreshed the route took us back via Dunster, where everyone could check on the 'Family seat' of Dunster Castle, we did and very good it was too. Saturday evening was the 3 course Gala Dinner before the 'Dance' in the ballroom, some of us were better than others but Philip did play some easier songs that the rest of us could just about manage. Mike livened up the evening by handing round glow sticks and it looked like everyone there was glowing in the dark. Sunday was a free day for everyone which meant there were lots of conversations during the evening of where we had all been. 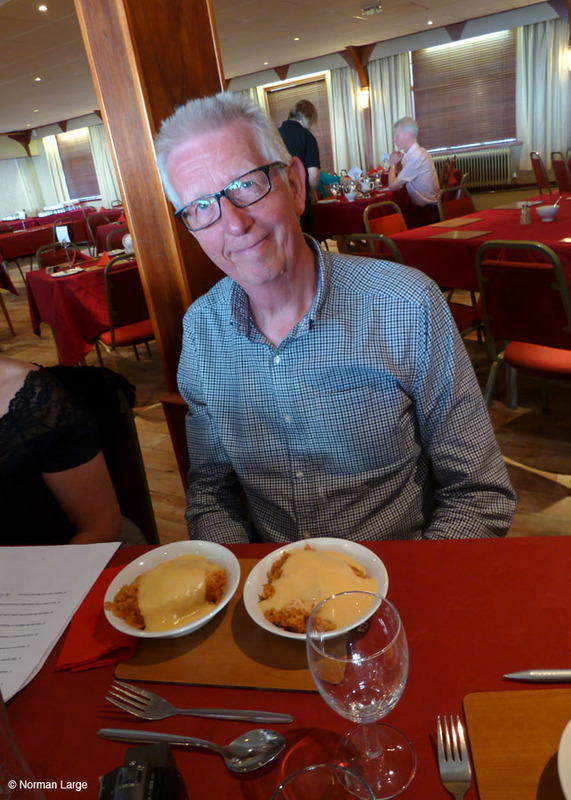 There was one small problem during the meal when it looked like they were going to miss me out on the sponge pudding and custard dessert but the waiter took pity on me and brought a double helping (see photo) this of course upset Graham, hence the double dishes for him!!! 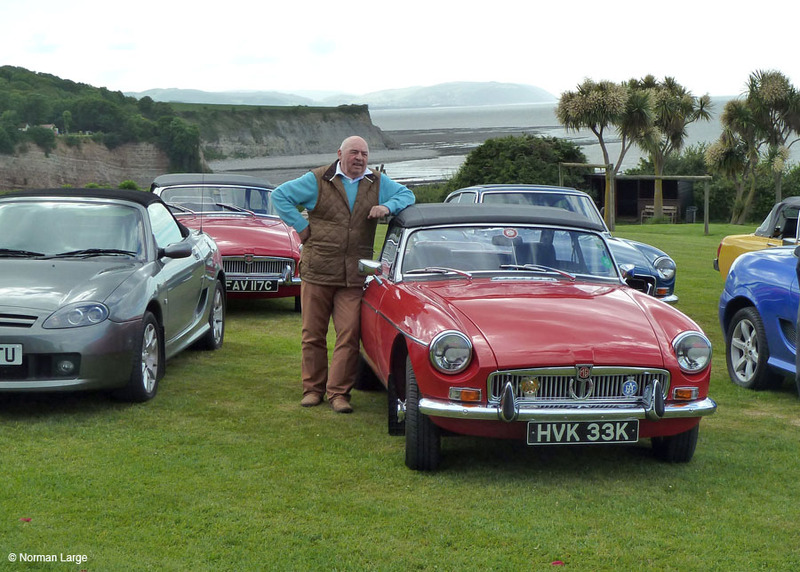 Nigel had invited for the local MGOC over to join for the evening but they are only a small group, so not as well attended as the Golden Cross. Good to see them none the less. Unfortunately Monday dawned, somewhat wet, so it was a soggy trip back to the Midlands for most of us but that didn't spoil what was a very enjoyable weekend, a very BIG thank you to Nigel. 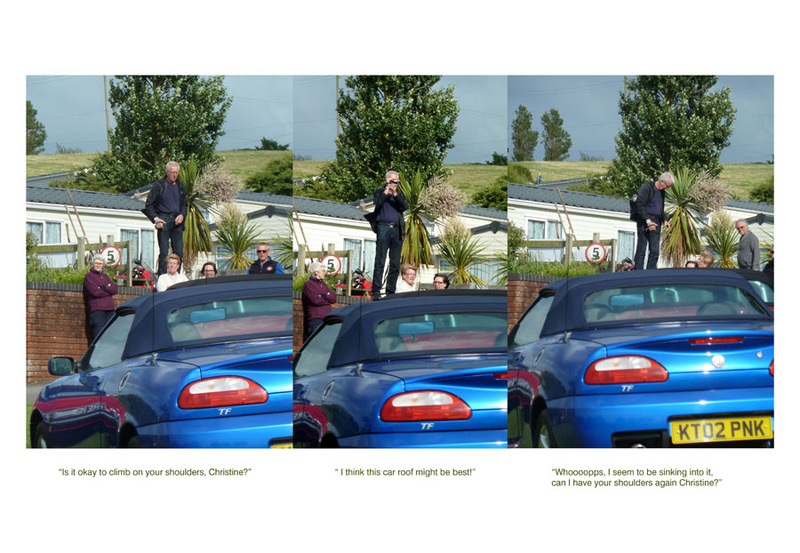 A couple of photos from me. Looks like a nice place!! Branded tables, they were expecting us!! Home time - in the rain! Thanks for the photos Graham.